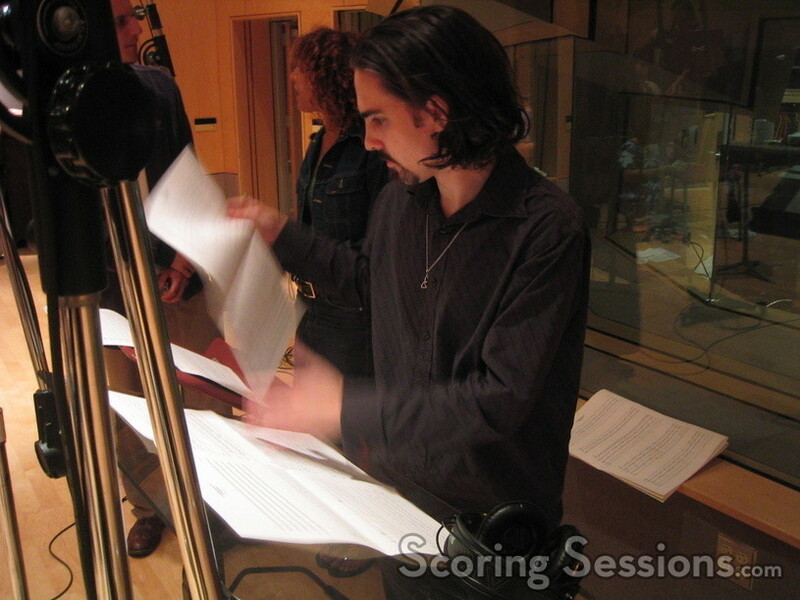 Tucked away at a small recording studio at Citrus College in the Inland Empire east of Los Angeles, composer Bear McCreary took up the baton today, and conducted a string session for a pivotal episode in the highly anticipated second season of the hit Sci-Fi Channel series, “Battlestar Galactica”. The score for the series has been primarily synthesized, with solo instruments providing levels of flavor. 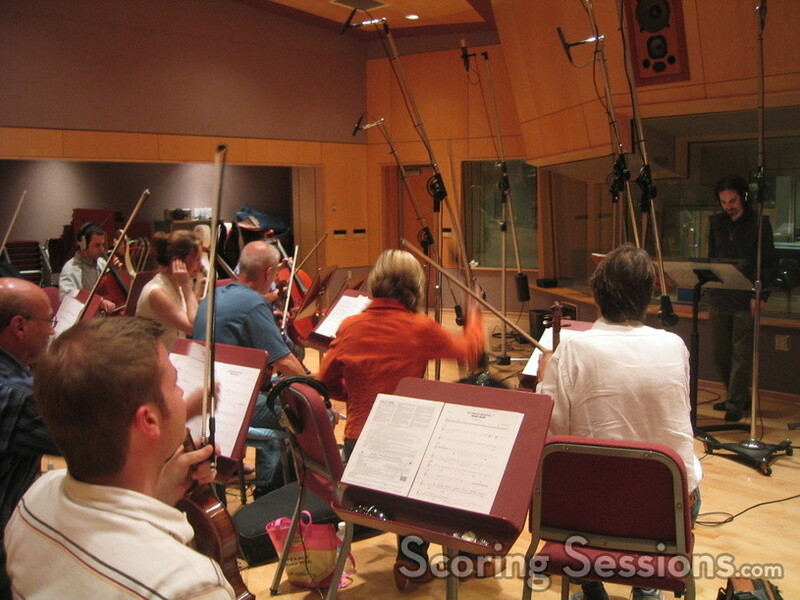 This session focused on a few larger cues, primarily involving some heavy string work. An emotional cue, and then a rather tense rhythmic cue, were recorded before taking a break. Score engineer Steve Kaplan was at the mixing board, making sure everything sounded just right. One cue dominated the session – a classical piece, almost like a Philip Glass work with repeating ostinatos that built over time. The episode, “Home, Part II”, will tie up a lot of loose ends that were left hanging in the climactic finale from Season One which have continued into Season Two for numerous episodes. As such, this episode required strong music to provide significant emotional beats. Look for the episode to air on the Sci-Fi Channel on August 26th, 2005. The second season for “Battlestar Galactica” started earlier this summer, and a soundtrack release for the music from Season One is available from La-La Land Records. Do you enjoy the news, photos and scoring coverage? Please consider a tip-jar donation, to keep us up and running!